Finding an amazing wedding venue that ticks all the boxes is no easy feat! 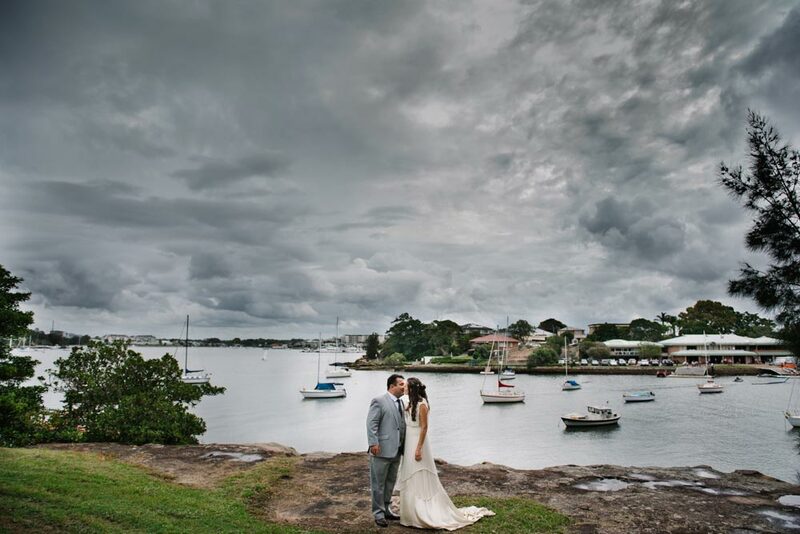 As wedding photographers, we’ve seen hundreds of different wedding venues around Sydney. The good news is, if you’re planning a wedding in Sydney, there are so many amazing places to choose from! 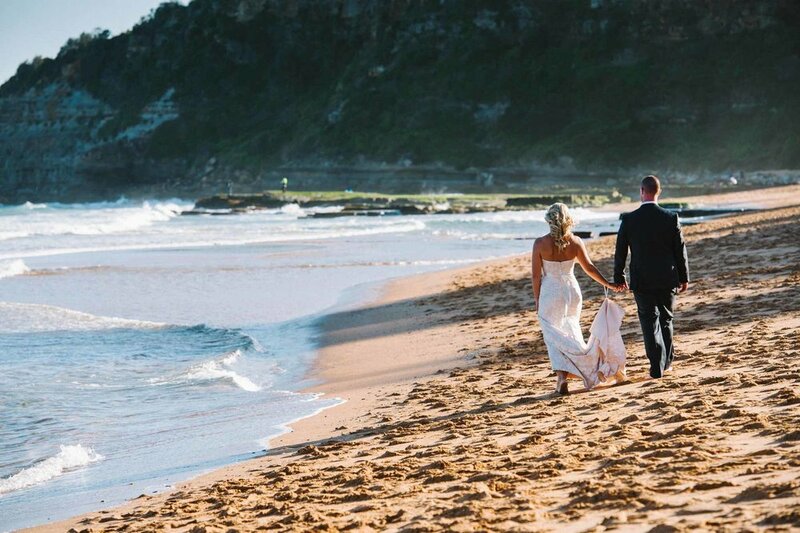 We’ve made a list of some of our favourite wedding venues in Sydney to help narrow down the choices for you, and to get you started on one of your first major decisions when planning your wedding (p.s the next choice should be your photographer ;). We’ve broken down the list by type of reception venue; Beach/Waterfront, Garden, and Urban/City. 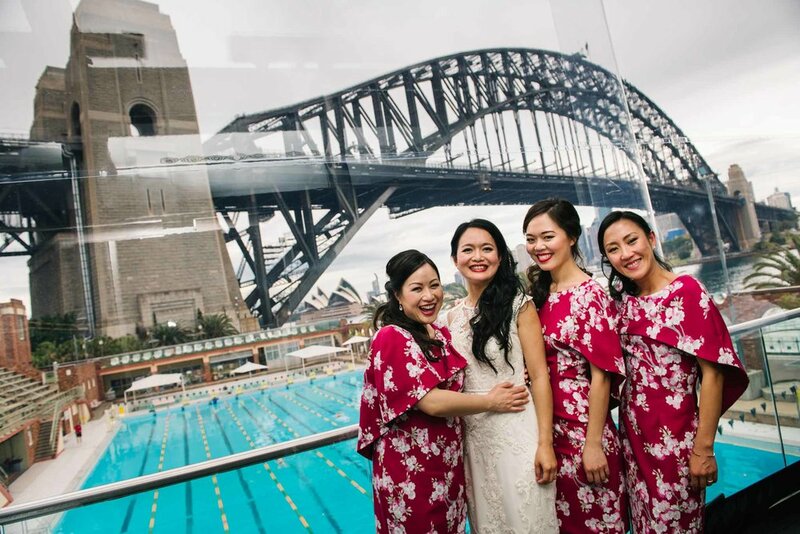 Aqua Dining - This classy venue offers beautiful iconic harbour views and is centrally located in North Sydney, just over the harbour bridge from the city. The cuisine is equally lovely, with a modern italian flair. For a seated dinner, the restaurant can hold up to 120 people, with up to 150 for a cocktail reception. Options for photography around Aqua Dining are fantastic; with the harbour bridge, Luna park, Wendy Whitely’s Secret Garden and the Rocks all nearby, you can choose the perfect spot to capture beautiful images. 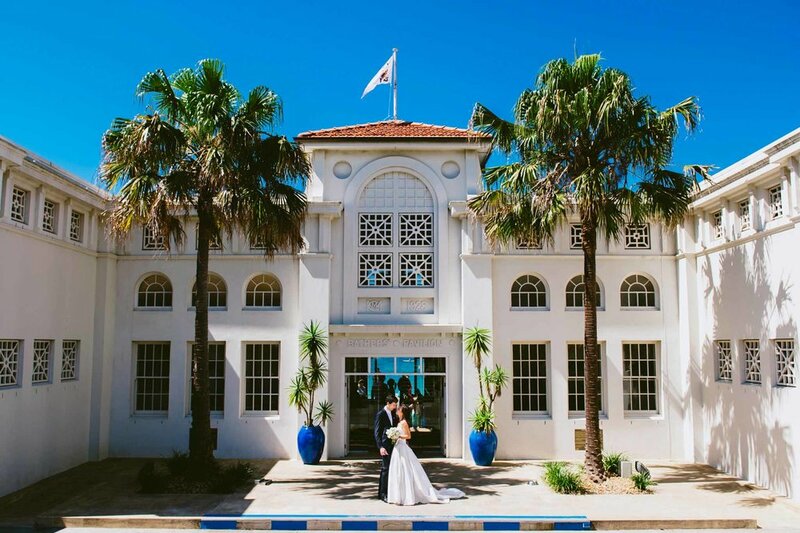 Athol Hall - We love this quaint venue on Sydney’s lower North Shore. It has a cottage-like, away from it all feel. Located in Ashton Park, Mosman, you can pretend you’re in the countryside, but from the Athol Hall Lawn ceremony space and the wrap around porch, you can see the harbour bridge across the water! The rustic interior is very charming, and the open space allows you to adapt the decor to your taste. 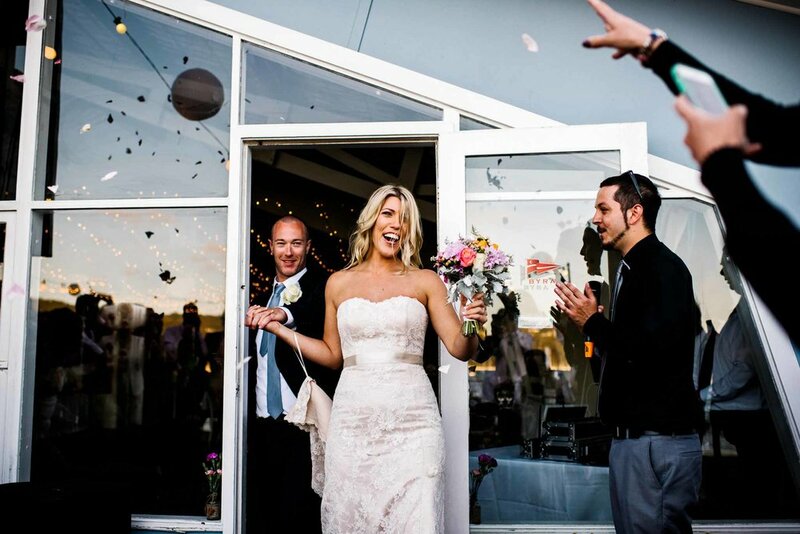 With seating for 130 guests, the space can allow for the perfect number of guests for a medium sized wedding. The park-like setting, as well as the tiny harbourside beach along the edge of the property, provides the perfect backdrop for wedding photos without having to drive anywhere, leaving you more time to spend with your guests. Banjo Paterson Cottage Restaurant - This charming sandstone restaurant is a lovely choice for a wedding venue. Dating back to the 1830s, it has plenty of old-world charm, with pretty views of landscaped gardens and the Parramatta River. Though not a traditional wedding venue, since the dining rooms are split up instead of being one big open space, the interior is quaint and allows to you use minimal decorations. If you’re having a small and cozy winter wedding, this would be a perfect venue. Bathers’ Pavilion - Set directly on the stunning Balmoral Beach on Sydney’s lower north shore, Bathers’ Pavilion is a classy, yet relaxed venue for a beachside wedding. The balcony overlooking the beach is the perfect spot for canapés, while the modern indoor space allows a blank canvas for your wedding theme. We love photographing at Balmoral beach for the lovely views, pretty white sand and the nearby Lawry Plunkett Reserve which offers a bush setting to add variety to your wedding images. Bayview Yacht Racing Association/BYRA Weddings - The perfect venue for DIY fans, this cost effective, open plan space allows you to add your own personal touch. Attached to the main hall is a large deck overlooking Bayview, on Sydney's Northern Beaches. 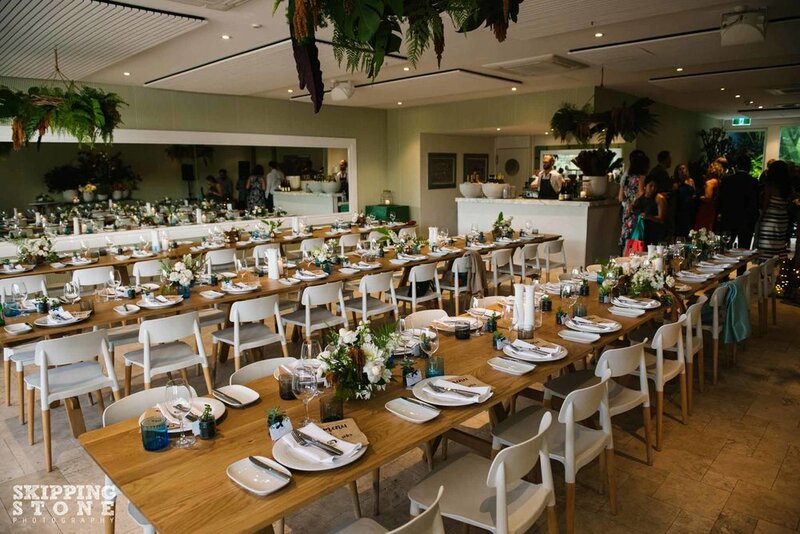 The entire venue is BYO, meaning you supply your own catering, drinks and decor. Nearby photography options include a plethora of beaches, such as Mona Vale and Turimetta beaches. Beachside Dojo - Another beachside beauty, located on Manly Beach, in Sydney’s Northern Beaches. This venue offers a relaxed yet elegant Hamptons-style setting, with large alfresco areas overlooking the beach. Manly is also a great spot for carrying the party on into the wee hours with lots of pubs and late night bars nearby. Manly, Shelly and Little Manly beaches also offer beautiful options for wedding photographs. Deckhouse - Located in Woolwich on the lower north shore, Deckhouse is a larger waterfront venue with seating capacity for up to 240 guests. Surrounded by floor to ceiling glass, this wedding venue offers panoramic views overlooking Sydney Harbour. It is also situated in Clarkes Point Reserve, a large waterfront park, and nearby to historic buildings and docks, which make for really interesting photography locations. Doltone House - Jones Bay Wharf - If you’re looking for a stylish, heritage, waterfront wedding venue for a large wedding (up to 680 people! ), then Doltone House in Pyrmont is definitely worth a look. 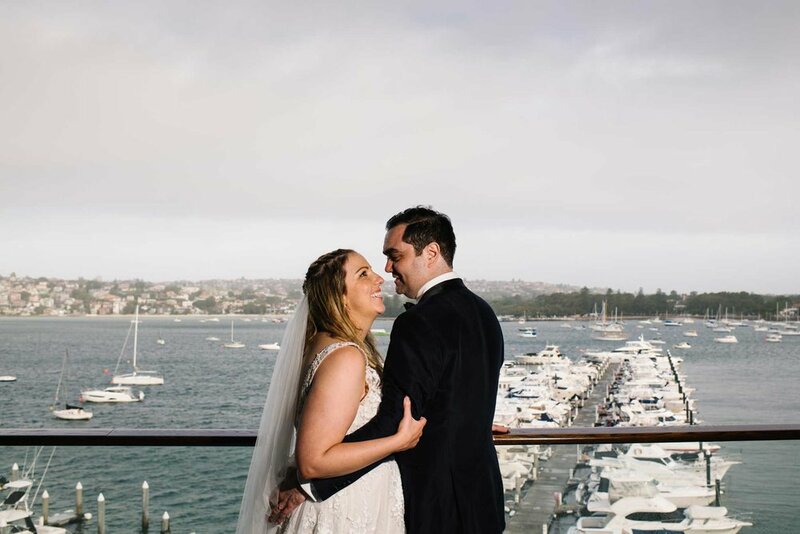 With a huge timber deck overlooking the harbour, as well as several different function rooms to suit your needs, this venue is a unique choice for your wedding day. 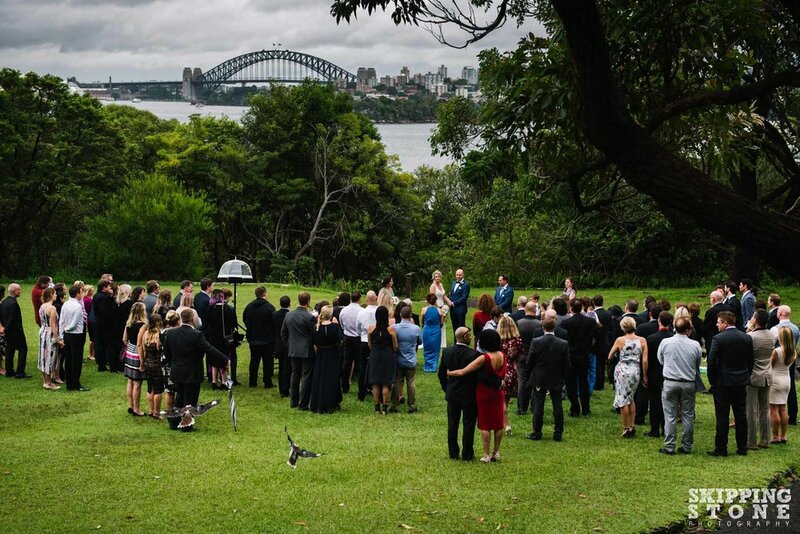 Dunbar House - Ideally situated in Watsons’ Bay, directly on Sydney harbour, Dunbar house offers a beautiful heritage house for your wedding.